Nordkop Mountain juts up out of Suffern and has two excellent views of the area. I have hiked up Nordkop Mountain many times, and have noticed that the true summit is further north on a rocky promenade. I had been meaning to go there and check out the true summit for quite some time, but never got around to it. 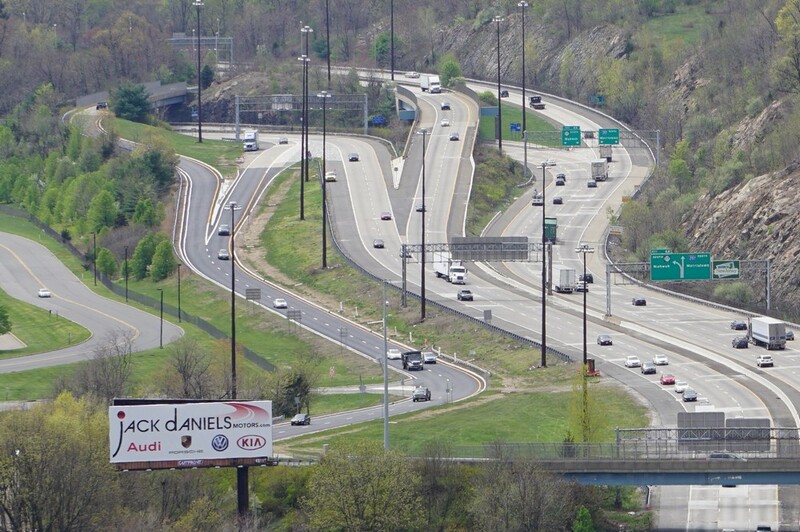 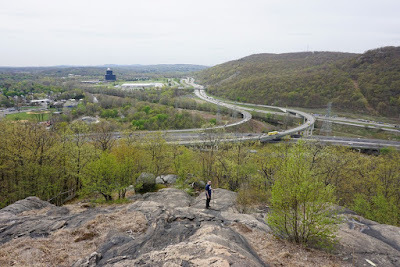 We parked on Chestnut Street in Suffern right before Route 202 (there is a 2 hour streetside parking available here), and walked along Route 202 to Route 59, underneath the wide Thruway/I-287 overpass. 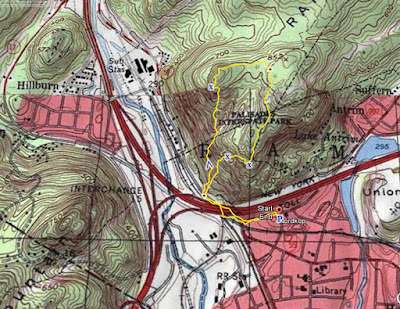 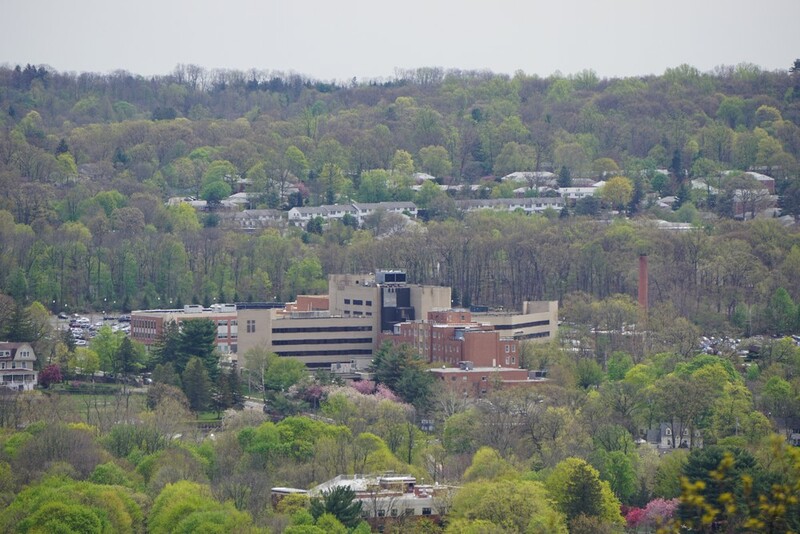 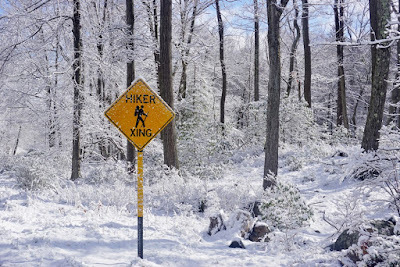 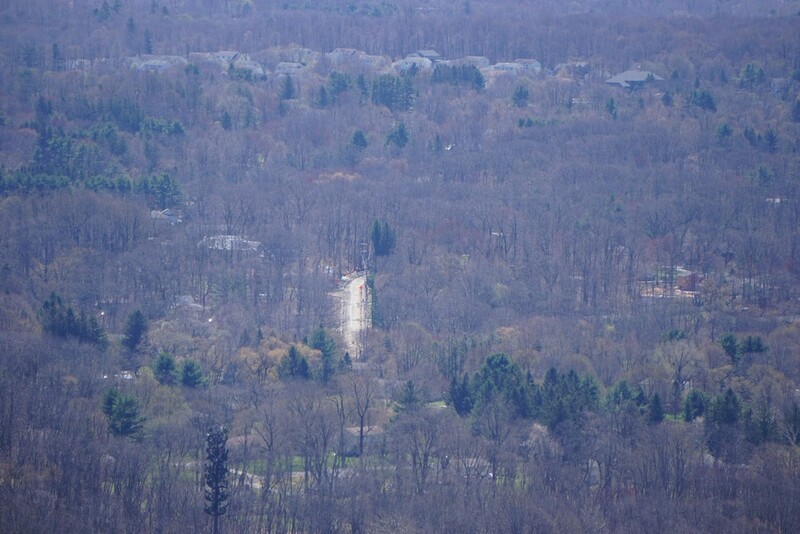 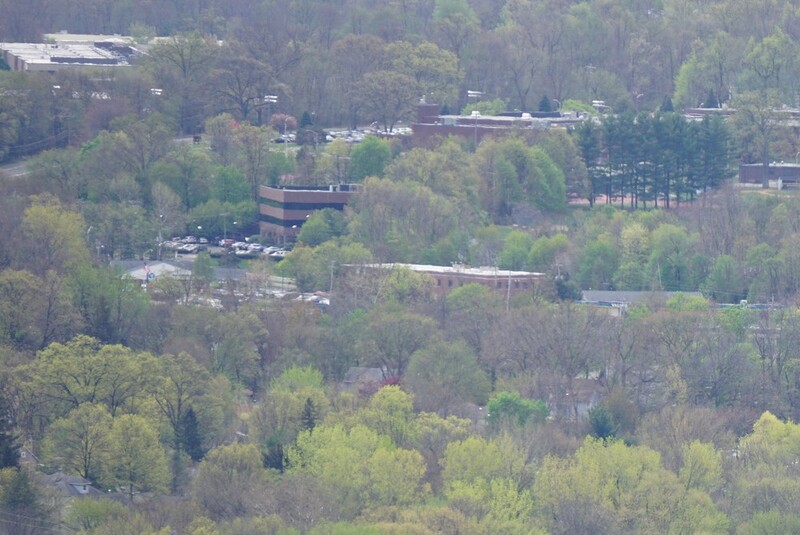 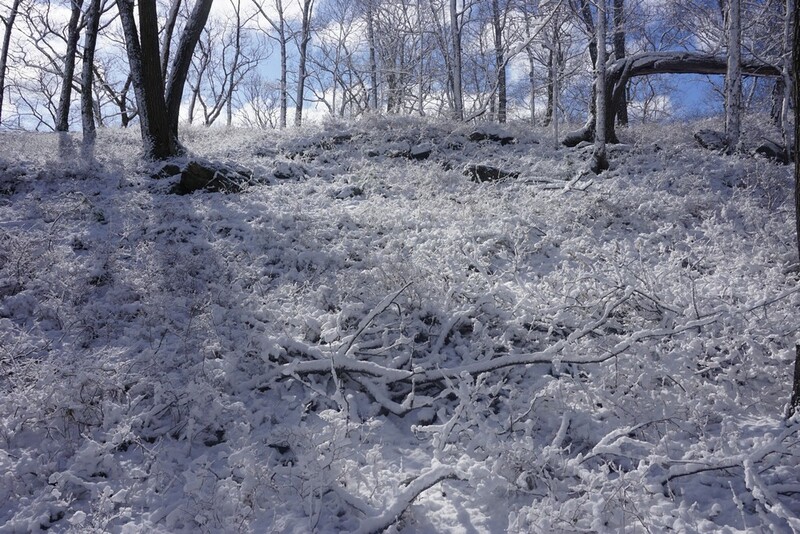 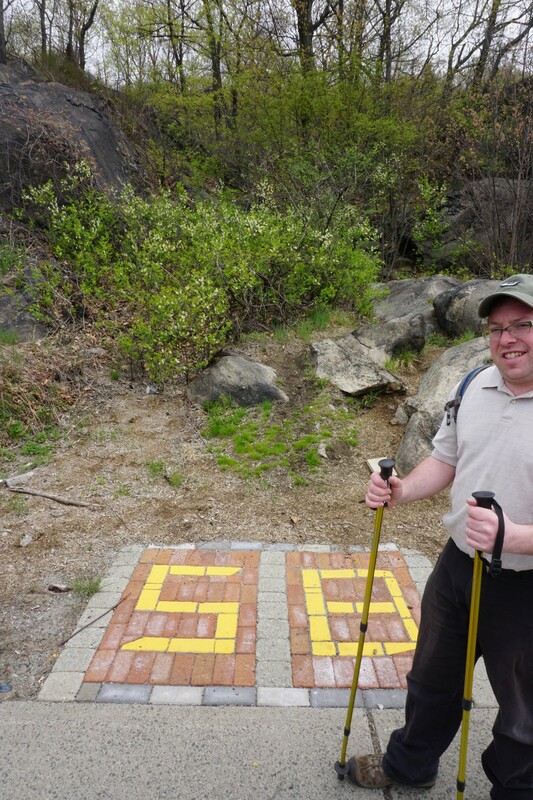 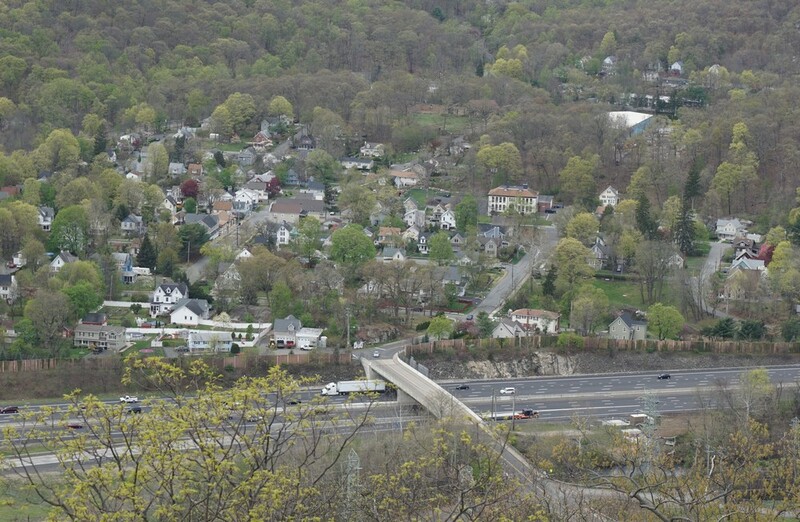 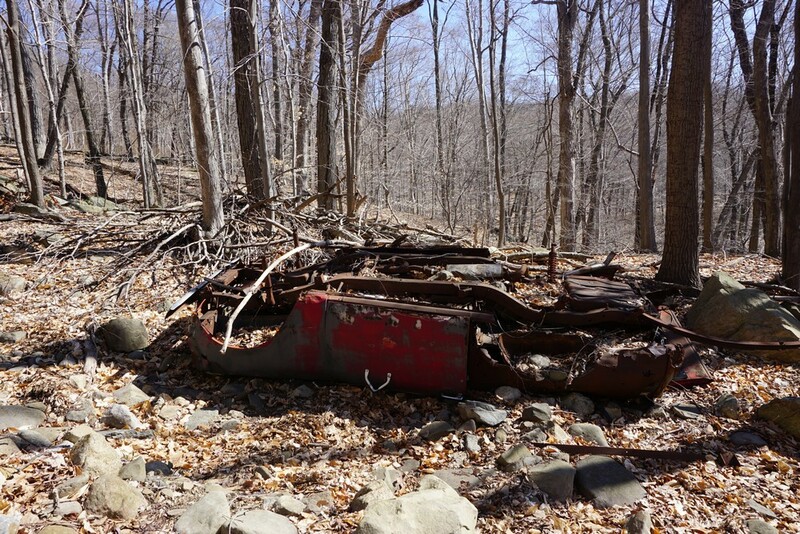 The Suffern-Bear Mountain Trail starts shortly after on the right side off the sidewalk. 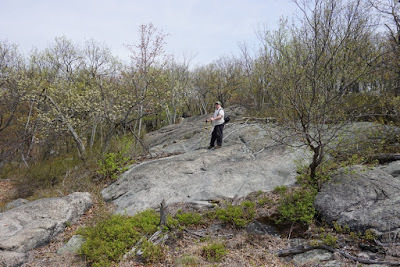 We started the rocky climb up, but instead of going straight on the SBM Trail, we veered towards the left northward, climbing the mountain over large rocks and scrambling up. 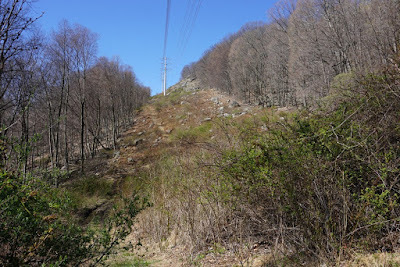 We noticed that there is an unofficial route marked by pink strings climbing the mountain, and we took this path to the summit. 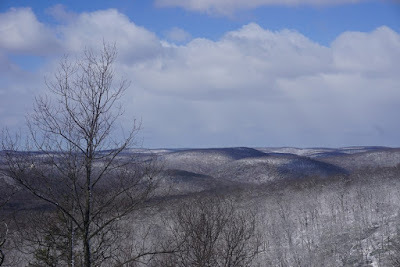 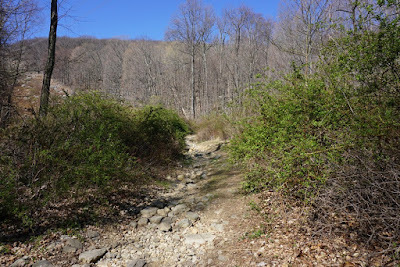 We passed the gas pipeline, and afterwards a steep rocky incline towards the summit. 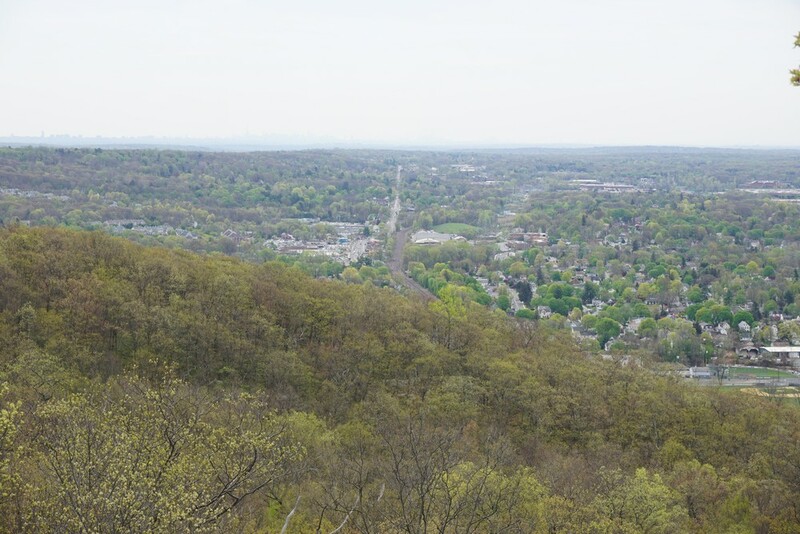 There is an excellent view here, but unfortunately it is covered in graffiti. 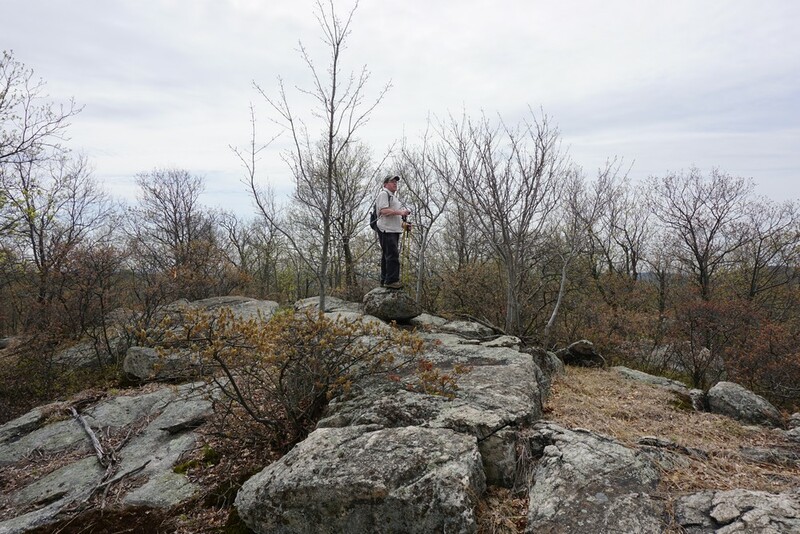 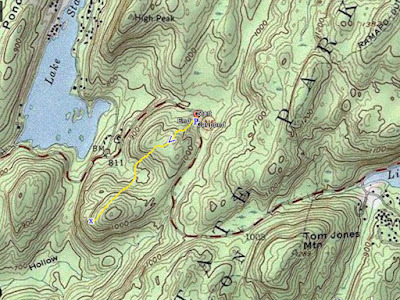 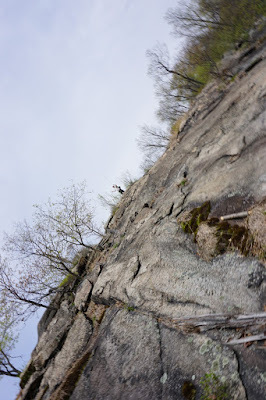 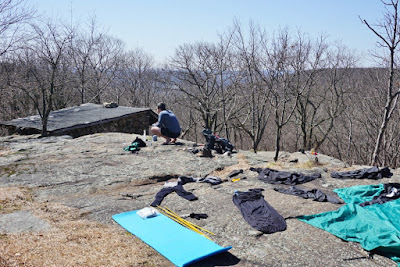 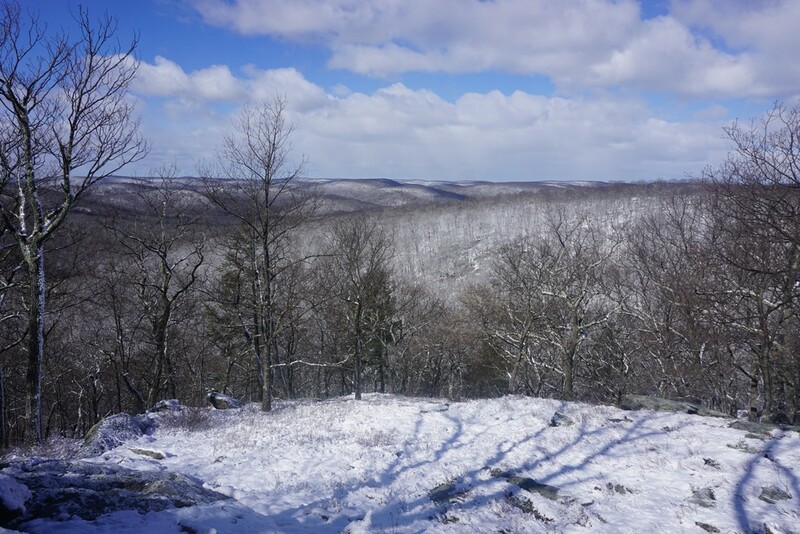 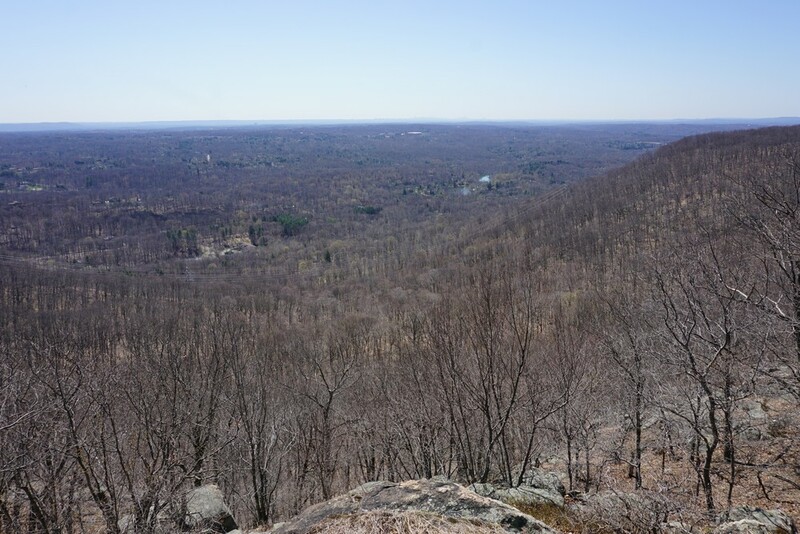 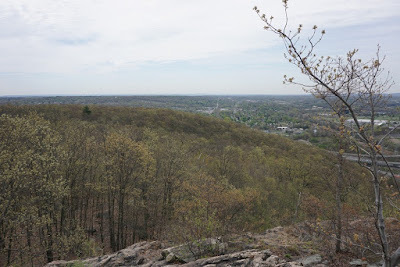 We then went past the summit and veered east, bushwacking easy terrain for a short distance to the Suffern-Bear Mountain Trail. 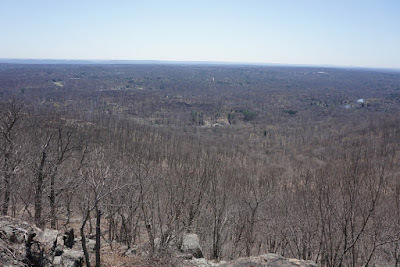 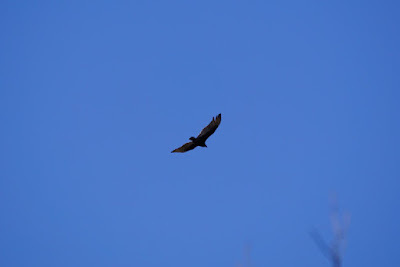 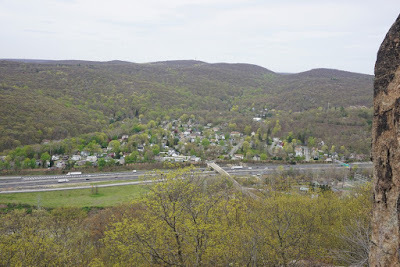 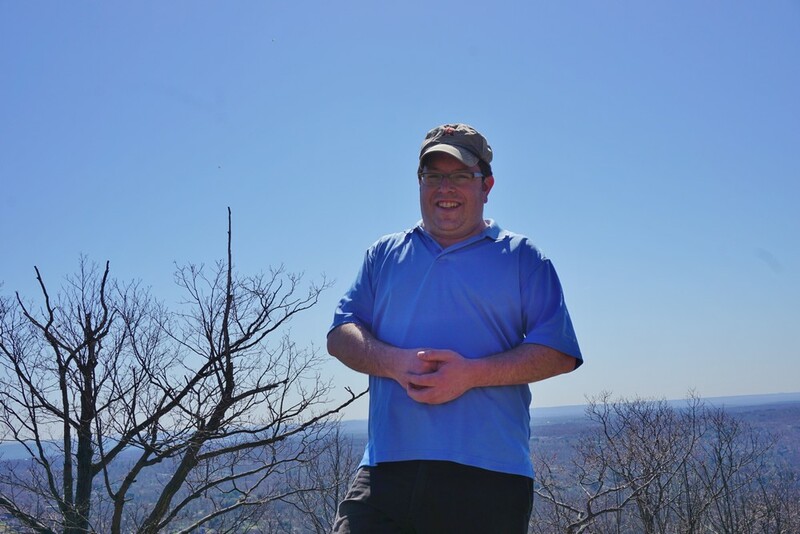 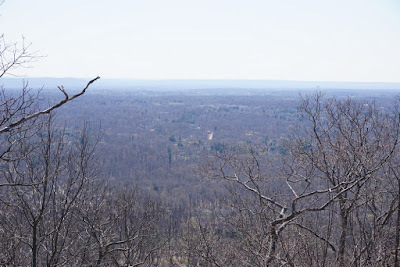 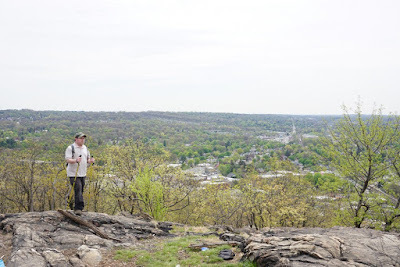 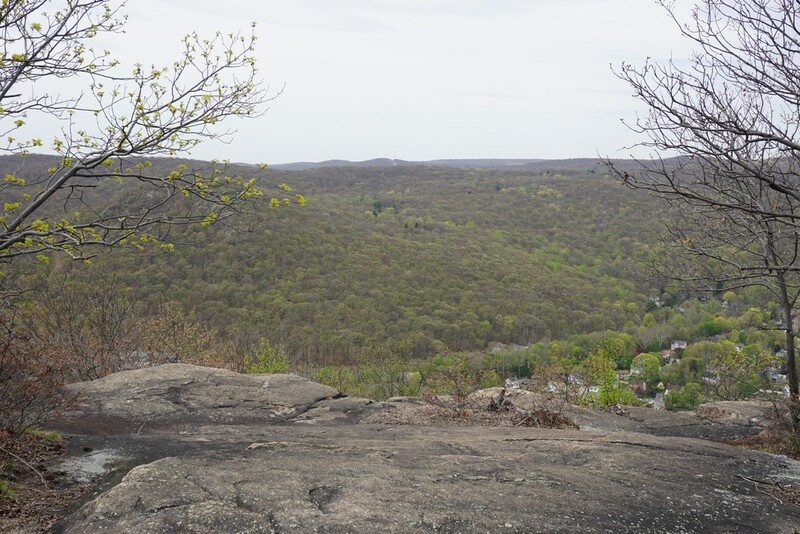 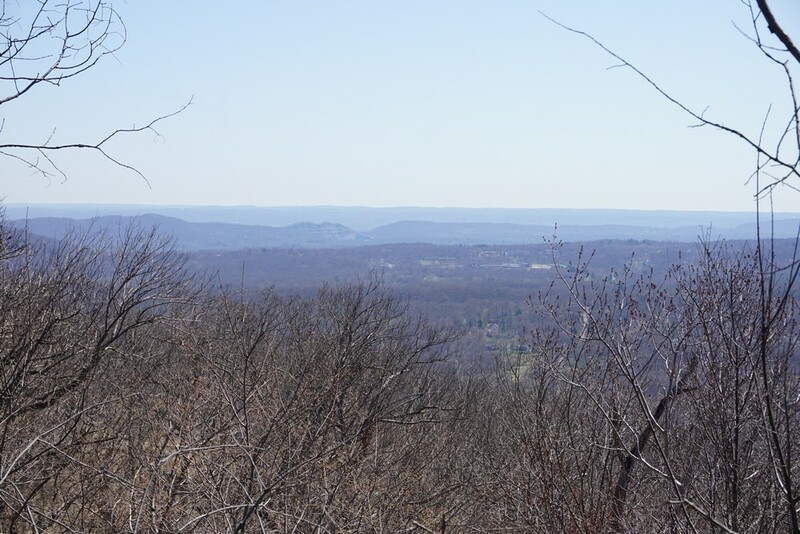 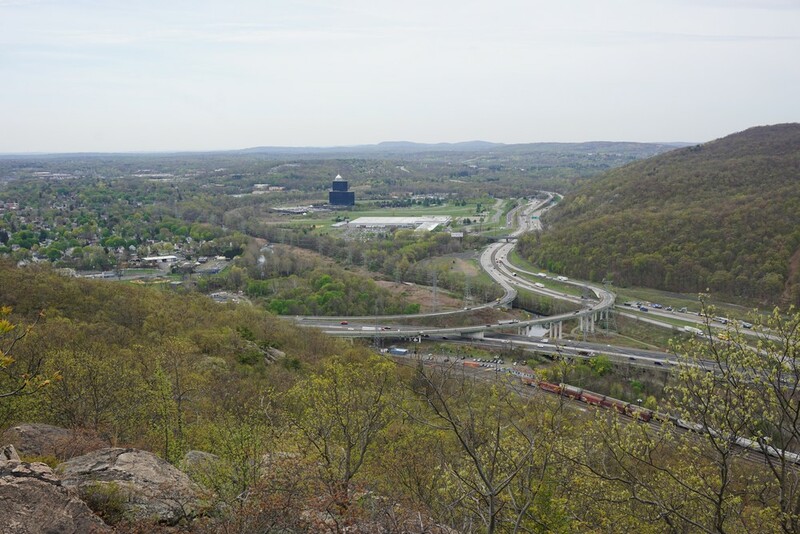 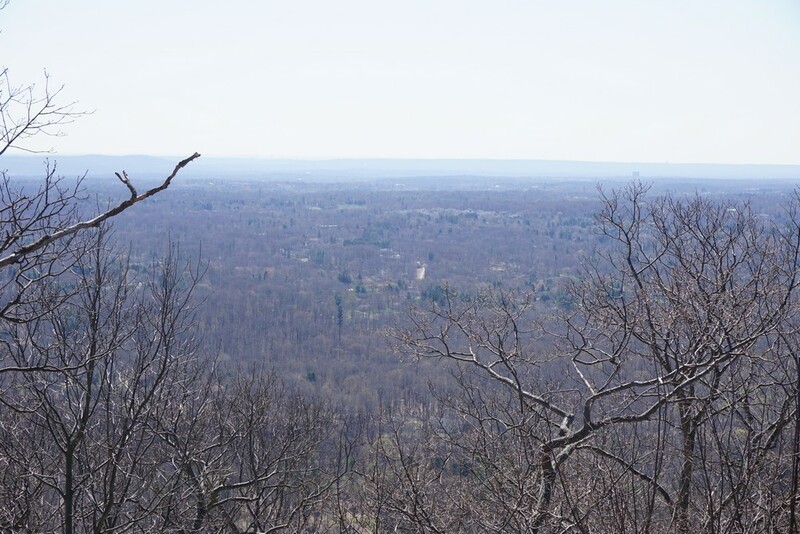 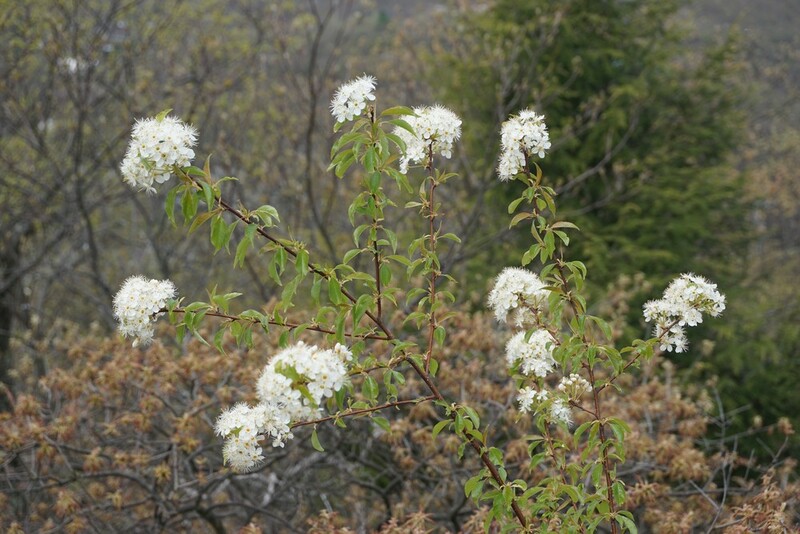 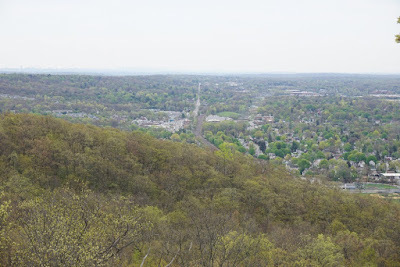 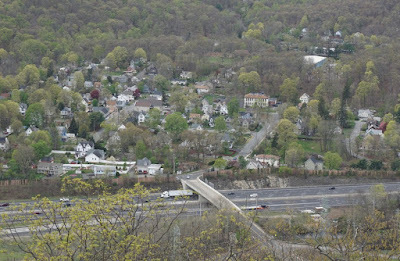 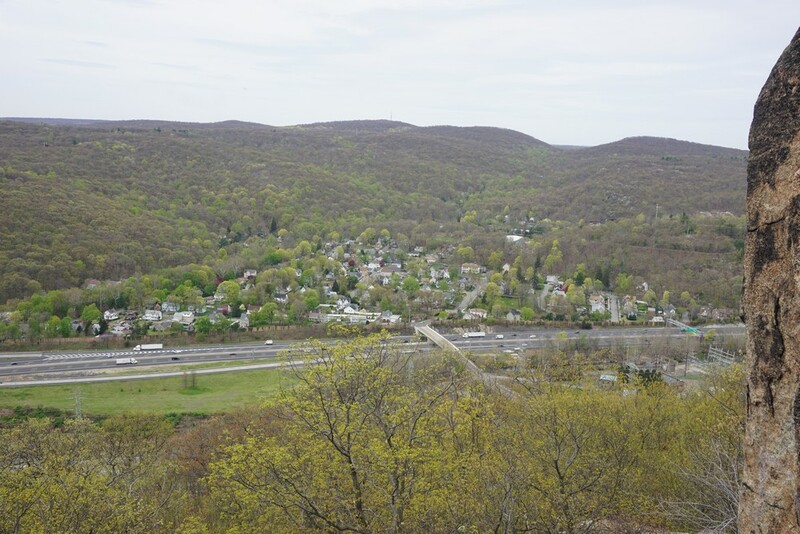 We then went on the Suffern-Bear Mountain Trail back down the mountain, passing the two viewpoints along the way. 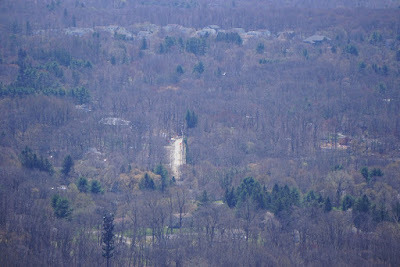 The higher viewpoint is terribly filthy, littered with trash and fouled by graffiti. 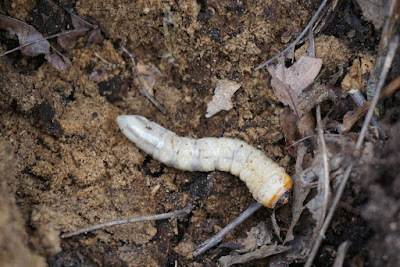 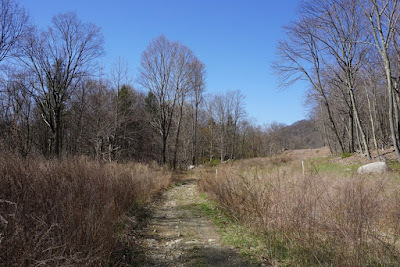 We continued down along the trail to its terminus at Route 59, and then walked along the road back to our car. 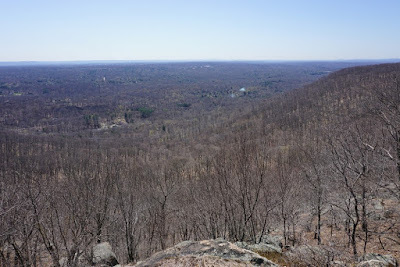 This hike was on a beautiful April day, with full sunshine and temperatures in the 60's. 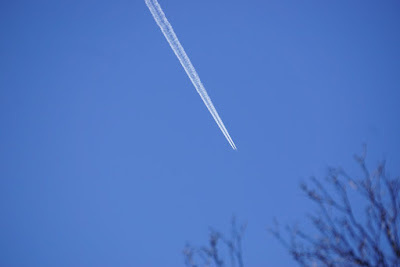 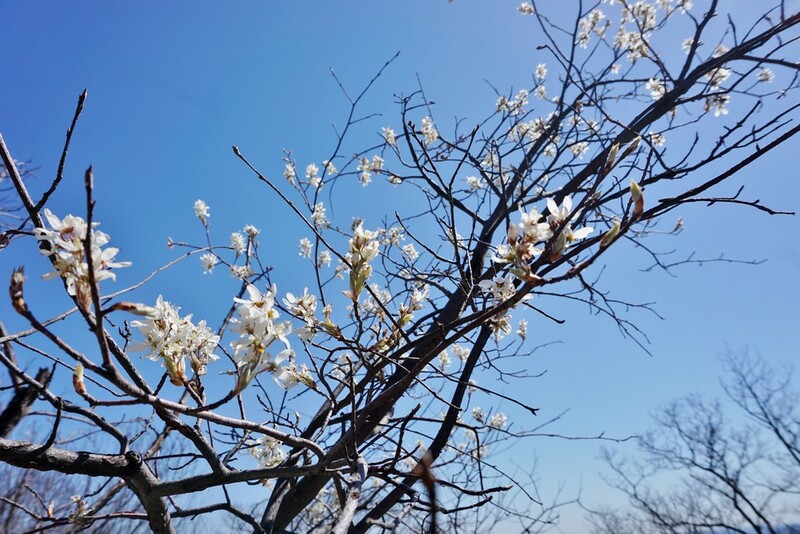 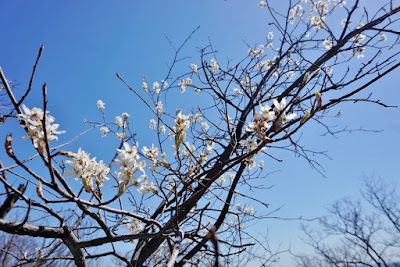 The trees and their buds were blooming, and the sky was a strong blue. We parked at the Rockland Equestrian Center on Route 202, which is the trailhead for the Pine Meadow Trail. We took the Pine Meadow Trail up the small ascent to the Gas Line, and headed southwest along the gas line path to the Sherwood Path. 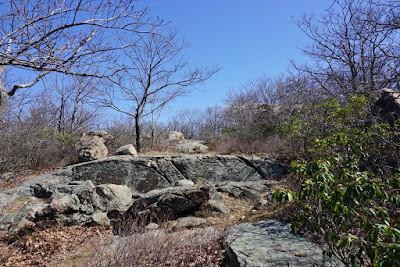 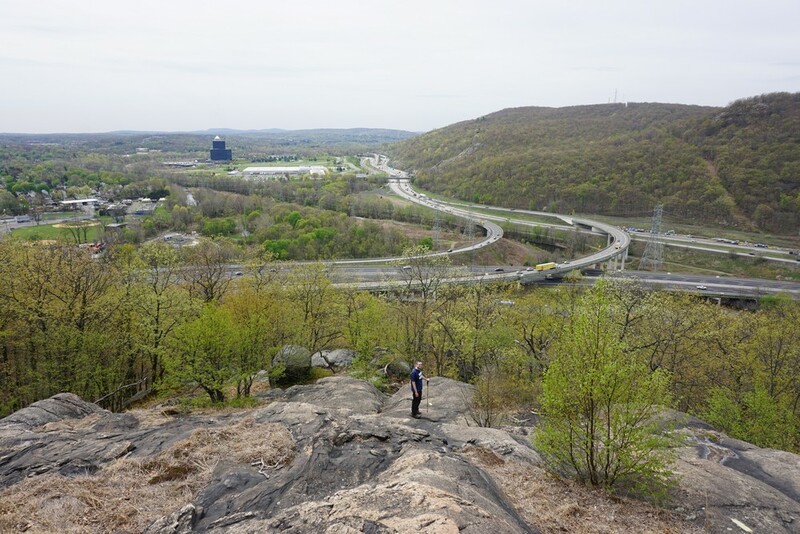 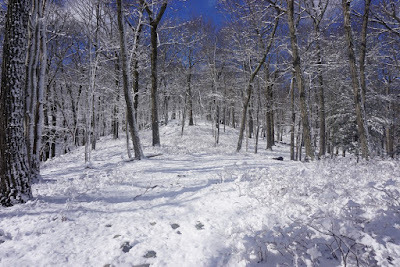 The Sherwood Path is a wide but unmarked trail that climbed the Ramapo Mountain Ridge in between Horse Stable Mountain and Catamount Mountain. We took the trail up, all the way to the Stone Memorial Shelter. 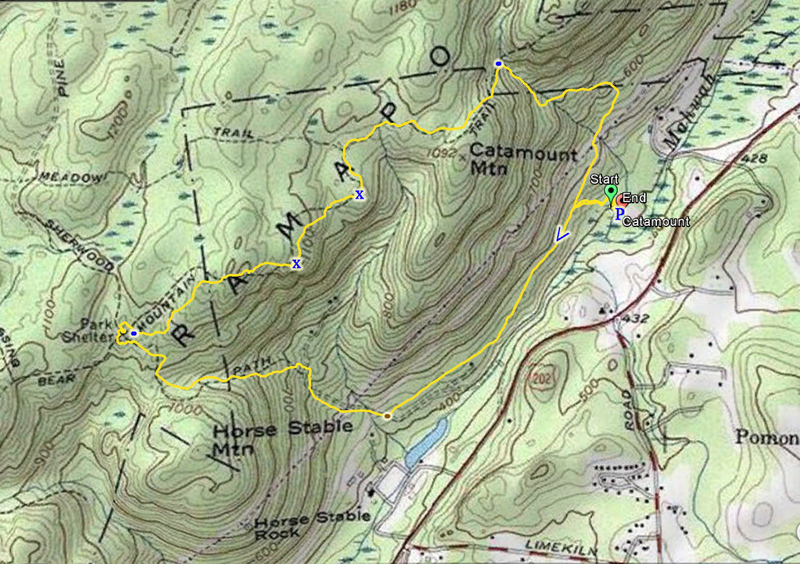 We then took the Suffer-Bear Mountain Trail along the top of the trail to the view atop Catamount Mountain. 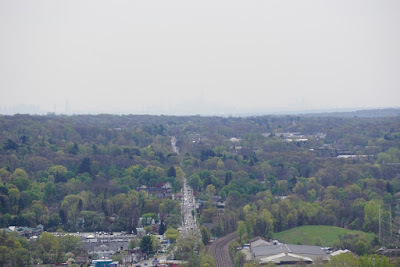 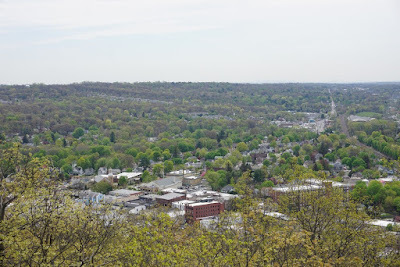 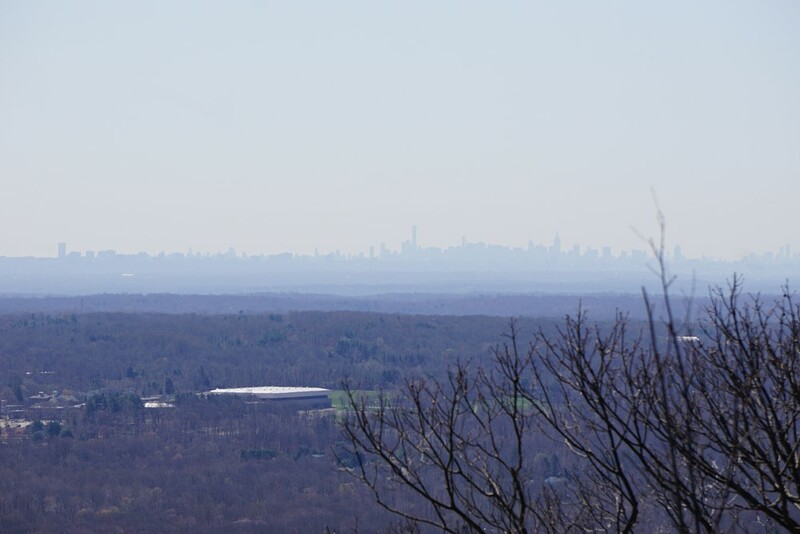 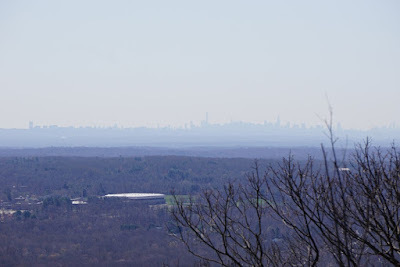 This is a sweeping view looking over the entire Rockland County, with the Manhattan skyline in excellent view. 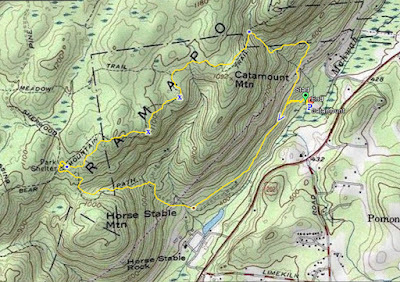 We then continued north on the trail as it descended into the gap between Catamount and Panther Mountains, and then took the Pine Meadow Trail all the way back down to its terminus at the horse stables. 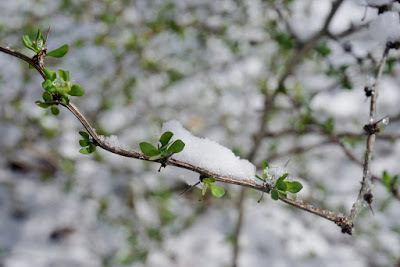 For an exceptionally mild winter, April had started out pretty cold. The night before this hike was in the 30's with rain, but snow was predicted upstate. 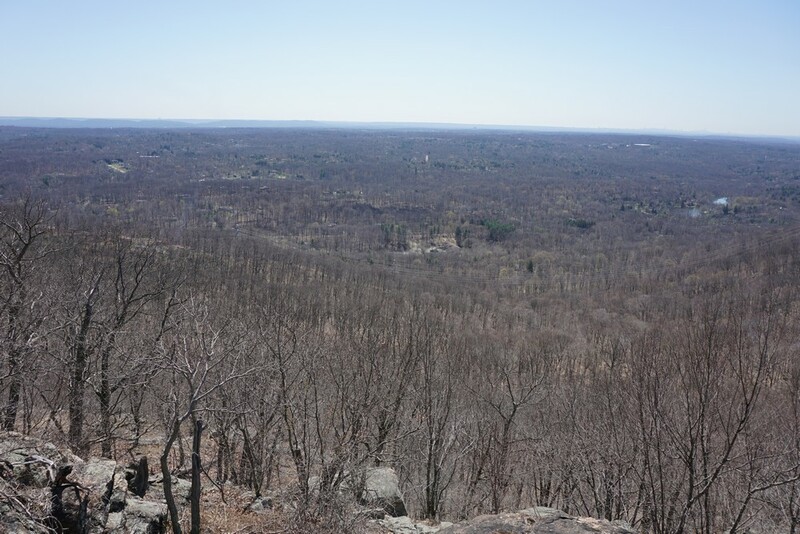 Additionally, there was a high wind warning in the area with very strong winds. 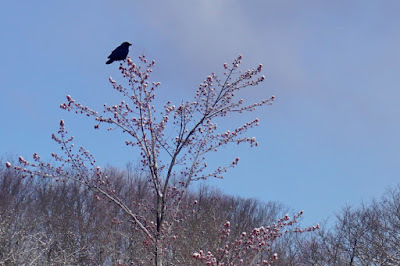 The morning started out very cold and winter-like, and felt more like February than April! 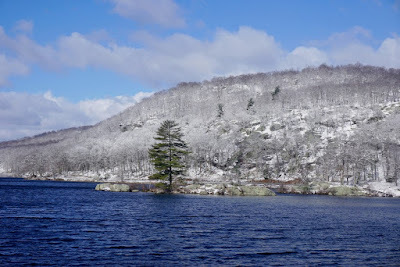 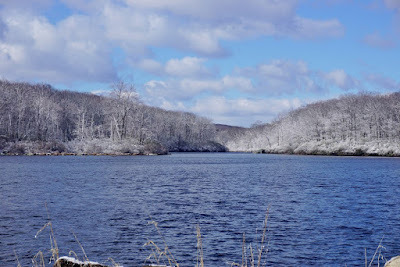 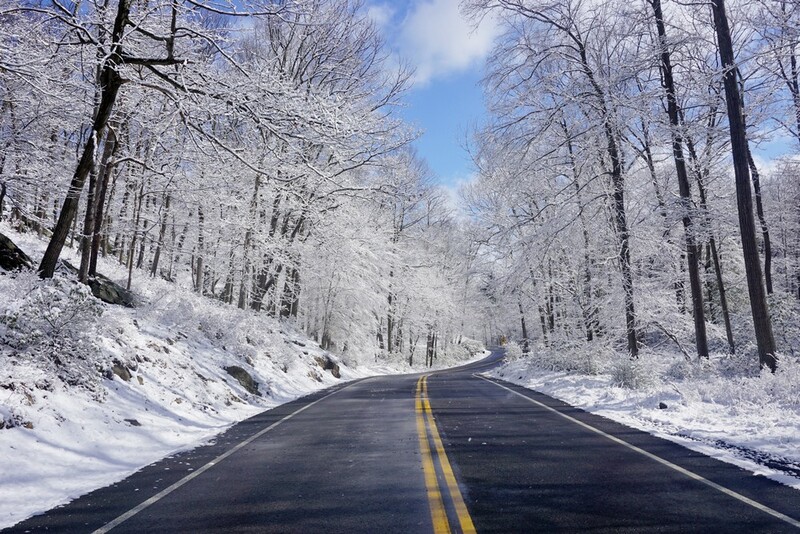 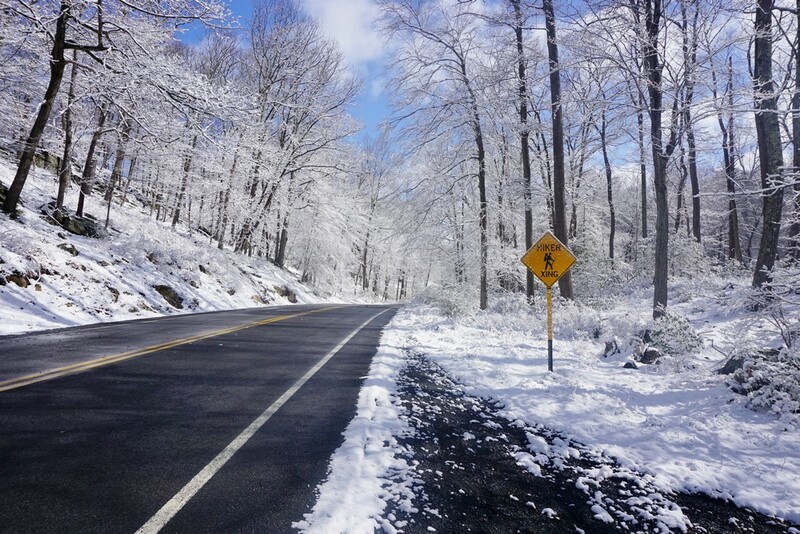 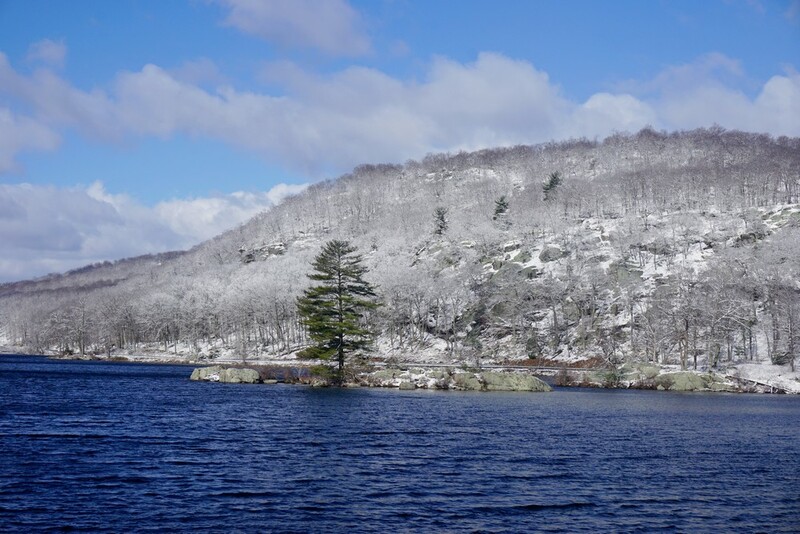 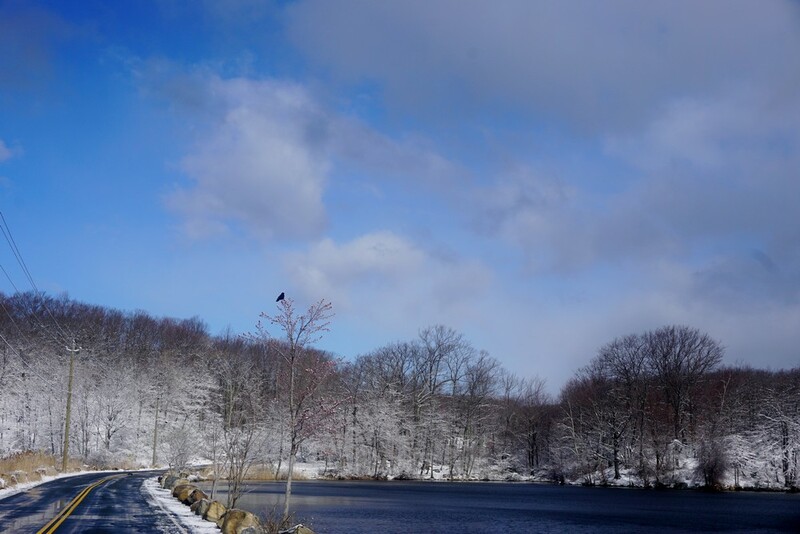 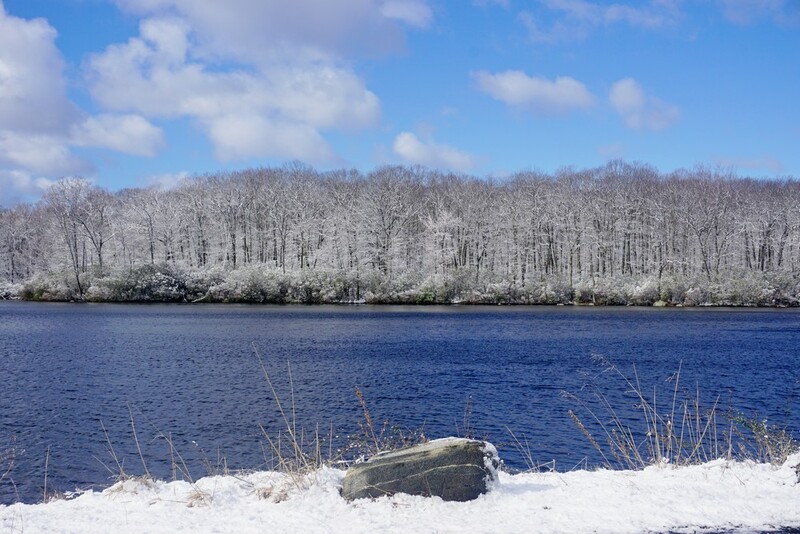 Upon driving north towards Harriman, as I entered the park and drove to a higher elevation, there was snow on the ground! at to 1000 foot mark there was about 3 inches of wet, heavy snow! 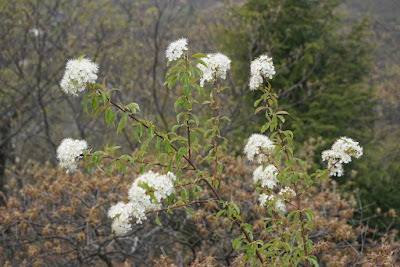 This despite the trees already starting their bloom. On the way up to the hike while driving on County Route 106 (Gate Hill Road/Lake Kanawauke Road) I encountered some surreal scenes which I photographed. 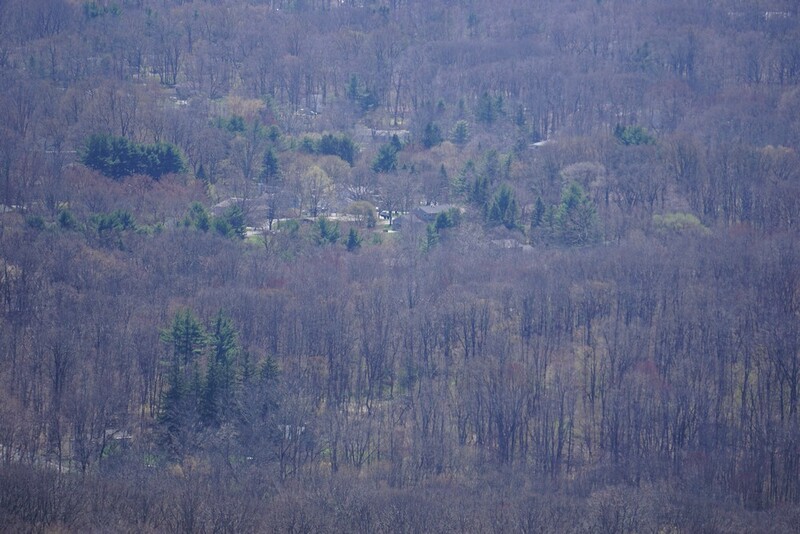 The Same Picture Zoomed Out.